Over on his blog, my sometimes wargame opponent Peter Berger has written what he calls a “rant” about the problems with UI in wargames. Well worth a read. If you want to comment, do it over there – it’s his argument, not mine. 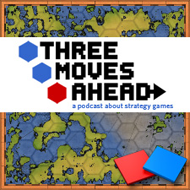 On the night before the day before Christmas, Troy and Rob and Julian sit down to talk about Jon Shafer leaving Firaxis, mega patches for turn based games Civ 5 and Elemental and then we wrap up with seasonal reflections including New Year’s resolutions for the podcast. Listen here. RSS here. Subscribe on iTunes.